If you have any information on the suspect please call HCSO at 713-221-6000 or Crime Stoppers at 713-222-8477. 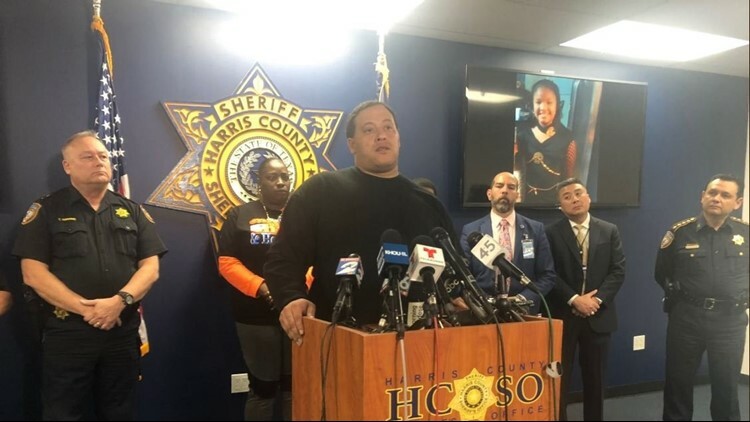 HARRIS COUNTY, Texas – Deputies are asking the public in east Harris County to review their security camera video to look for clues in the death of a 7-year-old who was shot and killed Sunday morning. The young girl, identified as Jazmine Barnes, was fatally shot while riding in a car with her mom and three sisters, according to the Harris County Sheriff's Office. 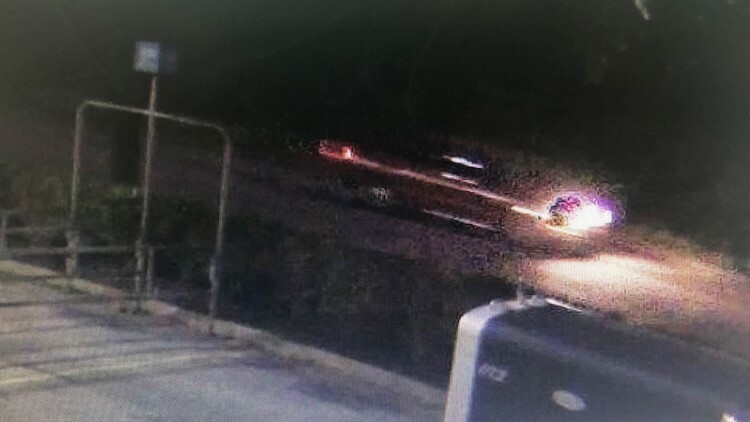 Deputies said the family of five was leaving a Walmart parking lot in the 15400 block of Wallisville around 7 a.m. when an unidentified man in a red pickup truck pulled up and started shooting. In a press conference held Monday afternoon, the sheriff's office released a photo of the pickup truck involved. The suspect is described as a white male in his 40s with a beard and was wearing a red hoodie at the time. Deputies are asking the public in east Harris County to review their security camera video to look for clues in the death of a 7-year-old who was shot on Sunday morning. Sheriff Gonzalez asked for the public's help in finding the suspect: "You may have that piece of information that will help us clear this case. Any piece of information, we ask that you come forward." Neighbors in east Harris County searched home surveillance video archives for images of the truck Monday night. At least two called deputies. One mom who thought she had new video of the truck did not. However, neighbors promised to help however they can. "We don't want somebody like that to get away," said Raul Torres, a neighbor. "That could be my grandkid or my kid or my neighbor. It's all about getting the guy." "We want to seek justice for Jazmine and bring this killer to justice and get him off the streets. We want the family to know that we are just heartbroken and we share in their grief." said Chris Sandoval with the Sheriff's Office homicide unit who is working the case. Jazmine's father also spoke during the press conference in an emotional plea to the public. "Help me and my family get justice for my daughter...she was loving, caring, passionate with people, she was sweet, just an innocent young girl." he said. "So I'm asking, from the bottom of my heart, anyone who knows anything please step up and help me and my family get justice for my baby girl." The father of Jazmine Barnes speaks during a press conferenec with the media held by the Harris County Sheriff's Office Monday afternoon. It's still unclear is there was a motive in the shooting, but Sheriff Gonzalez said at this time, it seems to be an unprovoked and random attack. "We are going to do everything in our power to located the individual responsible for this heinous crime." he said. The sheriff's office tweeted Monday morning asking everyone in the area to review their surveillance video to look for the truck. "Investigators ask all residents in the Wallisville Rd/E. Sam Houston Pwky area to review security video from the morning of 12/30. Looking for a red 4-door pickup involved in the fatal shooting of Jazmine Barnes, age 7. Call 713-274-9100 or @CrimeStopHOU at 713-222-TIPS #hounews" tweeted the sheriff's office. Deputies said the 7-year-old was killed instantly. Her mother was shot in the arm and was taken to Ben Taub Hospital where she is recovering. Sheriff Ed Gonzalez identified her as 30-year-old LaPorsha Washington. Another young girl was injured by shattered glass. The two other sisters in the vehicle were unharmed. "I urge you, whoever did this, you know who are, please turn yourself in," said Major Jesse Razo on Sunday. "Because we will be looking for you, we will locate you and we will find you." ► Make it easy to keep up-to-date. Download the KHOU News app now. Have a news tip? Email us or message us on our Facebook page or Twitter feed.